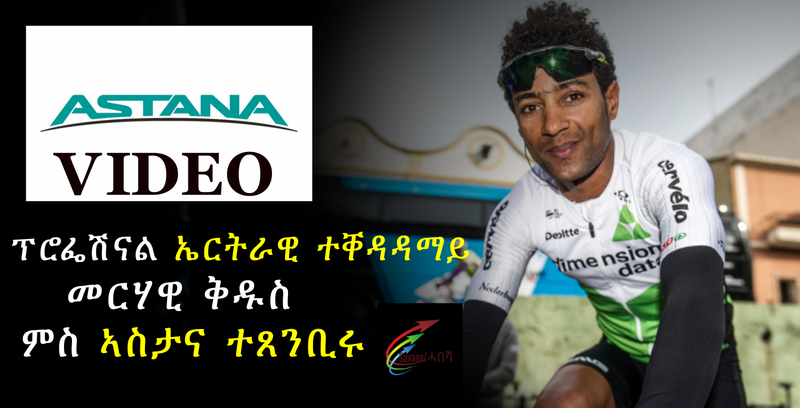 The Eritrean rider Merhawi Kudus will join Astana Pro Team in the upcoming season of 2019. – I am so exited with my arrival to Astana Pro Team in the season of 2019. This is a big opportunity for me, because Astana is one of the biggest cycling teams in the world. I hope to have a chance to improve a lot and in the same time to learn a lot and my expectations from this move are really high. I am looking forward to the upcoming season and really happy to join this great project, – said Merhawi Kudus. Merhawi Kudus (24), the National Champion of Eritrea, is a pure climber and despite his young age, he already has a number of good results in the palmarès. Thus, in 2017 Kudus won the jersey of the best young rider at the Tour of Oman, taking 4th place in the general classification. Also, he was 9th in the overall of the Volta a la Comunitat Valenciana and took a nice 2nd place at a stage of the Vuelta a España. In 2018 Merhawi was 7th in the GC of the Vuelta a Burgos and became one of the most active riders at La Vuelta. – Kudus is a very young and ambitious rider and I am curious how far he can reach in professional cycling. He is a climber, but in the same time have some skills in the time trial races. This rider will strengthen our Grand tour group. In the same time, Merhawi still has to find his way in the peloton and I think in Astana Team he will have a chance to grow and to show himself, – said general manager Alexandr Vinokurov.